♦ The Classic Collection – The style and sophistication of traditional carpet designs, classic texture, classic colours. ♦ The Designer Collection – Modern, sophisticated designs. Patriotic Carnaby, to the formal, stripes of Savile Row. ♦ The Essential Collection – Great carpet and an even better price. Superb twists and textured carpet. 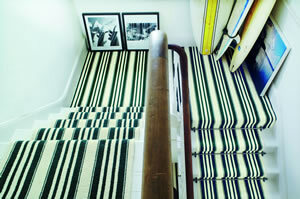 ♦ Custom Colours – Your unique and bespoke carpet for your perfect home! Brockway still manufacture in their own factory and as such are able to control and enforce incredibly high standards of workmanship and quality of finish. They are very selective over their choice of raw materials and designs, and frequently work with industry leading designers and colourists to stay one step ahead of current trends. All Brockway carpets installed and fitted by Burgess Flooring use appropriate good quality underlay. We can of course advise on usage and supply your chosen underlay. In addition, all carpets are suitable for use over underfloor heating when combined with an appropriate quality underlay. 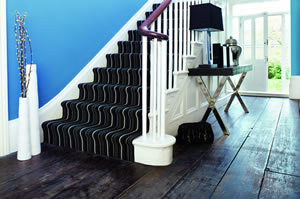 Choose your Brockway Carpets in Sussex with Burgess Flooring and Blinds. Book an estimate today! Just click on the links to find out more about our skills and what additional products we offer our Sussex Brockway Carpets customers.